← Coffee Afternoon in aid of Brownhills Scouts this afternoon! These days, such a site would be far more fenced off, and this shot would give modern safety officers fits of the vapours – but the lax security meant an excellent photographic record. Image Kindly supplied by Steve Turner. 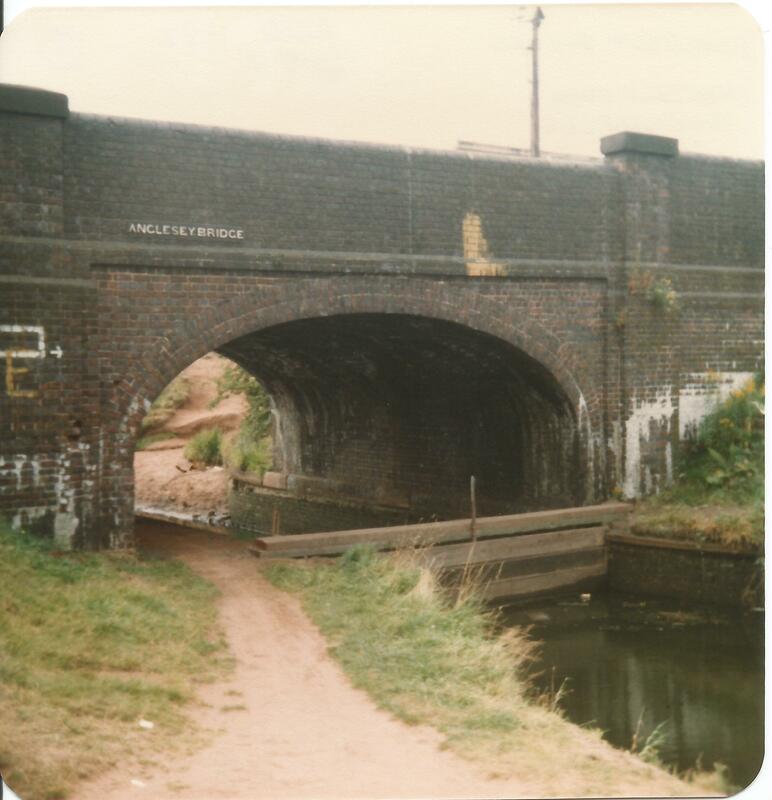 So it has been with the curious, still pretty much unresolved tale of the September 1982 canal breech at the Wyrley and Essington canal by Millfield School at Catshill. 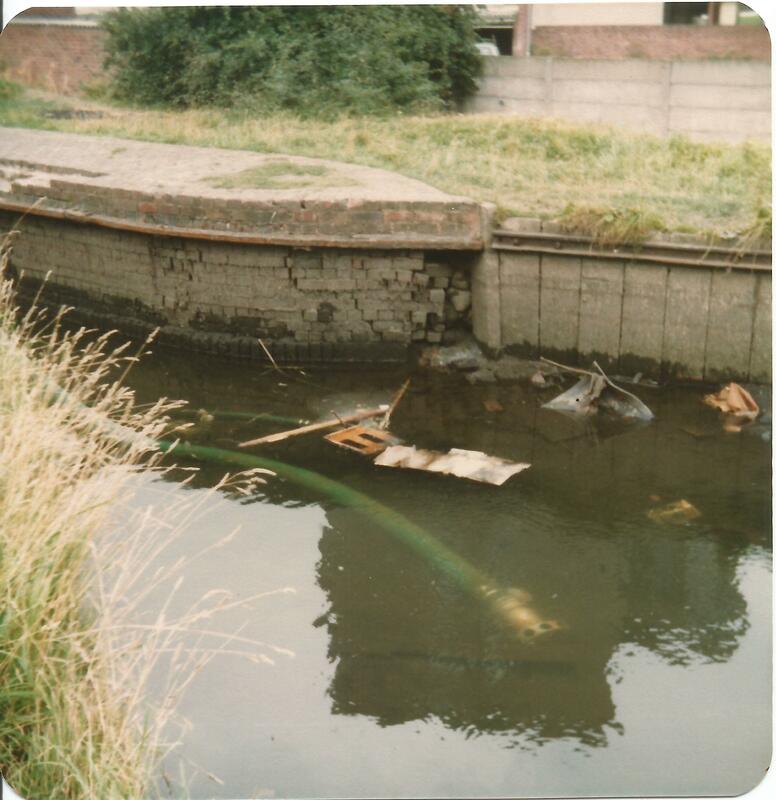 I had originally thought that the voids that opened up under the canal were caused by mining subsidence, but others have contested this is not the case and that they were just sinkholes – but they did a huge amount of damage. 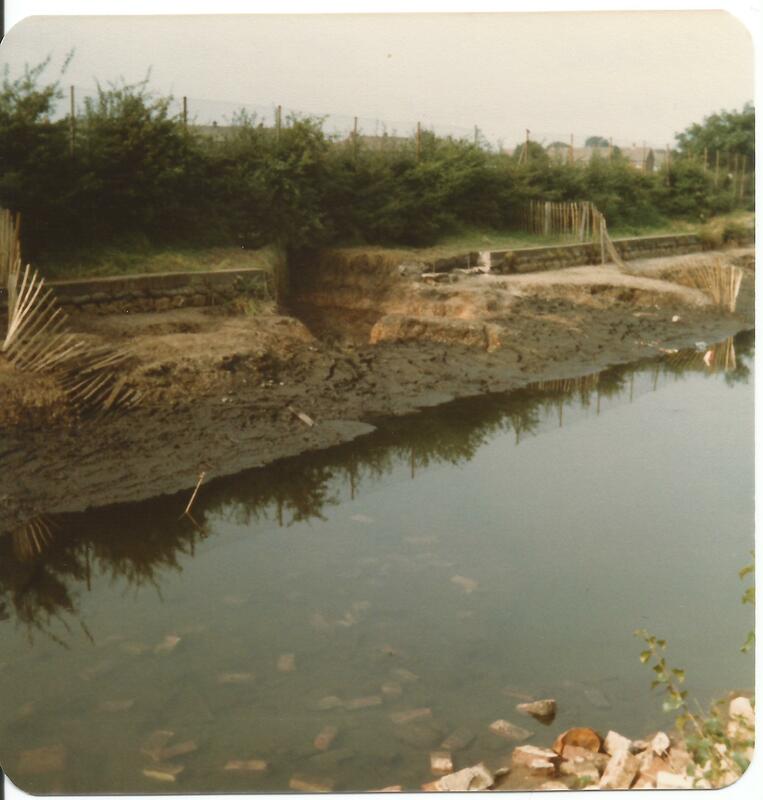 In the last couple of weeks I’ve had a whole tranche of images of the drained canal and damage – which in those days wasn’t particularly rigorously faced off – from Steve Turner, featured above and in the gallery below. Steve supplied the wonderful pictures of Brownhills High Street I posted here in the week. Sorting through some old photos and came across these that might be of interest to your readers. 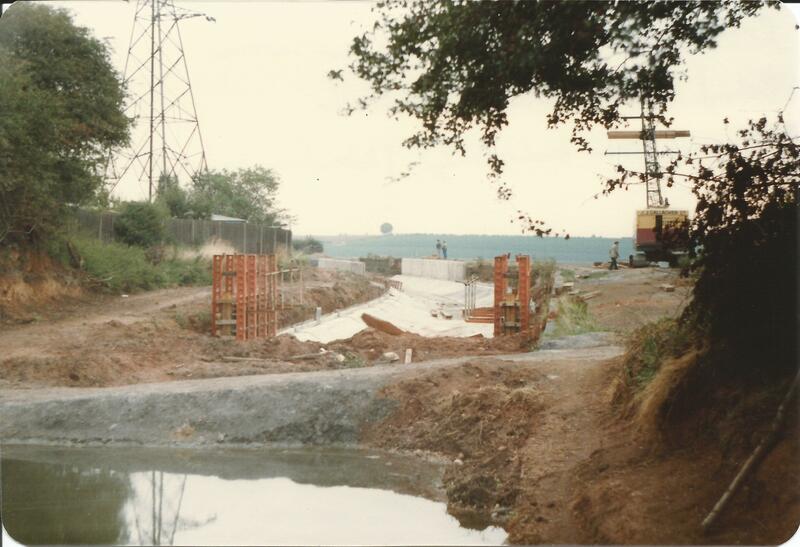 Late 70s I think when a hole appeared at the back of Millfield School and drained the canal. As ever with these kinds of photos, as interesting as the subject is, some of the background is equally memory-jogging. See Saddlers Mill on the canal side, still a factory before renovation and conversion – and the Superalloys factory – is that the base of the chimney there, or am I imagining it? These photos obviously compliment the wonderful work supplied way back in 2012 by that great local historian, David Hodgkinson. There’s still much I’d love to know, but we are getting closer. I include that post below the gallery to save flipping browser windows. 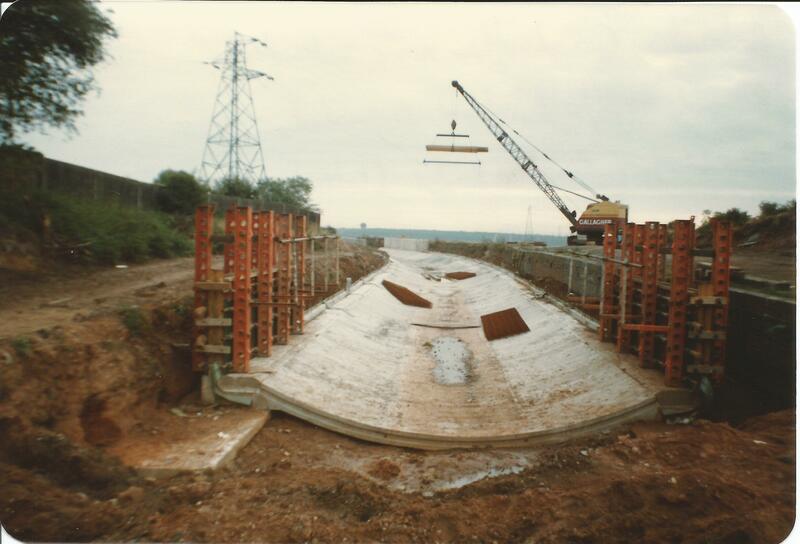 Of particular interest is the idea that the modern drainage system for Chasewater’s overflow – where it dives under the canal and into the Crane Brook – was built in response to this event Can anyone add more to that, please? That’s to Steve for a wonderful donation, and if you can help with memories of this dramatic event, or anything else relating to it, please do comment here or mail me – BrownhillsBob at Googlemail dot com. Cheers. 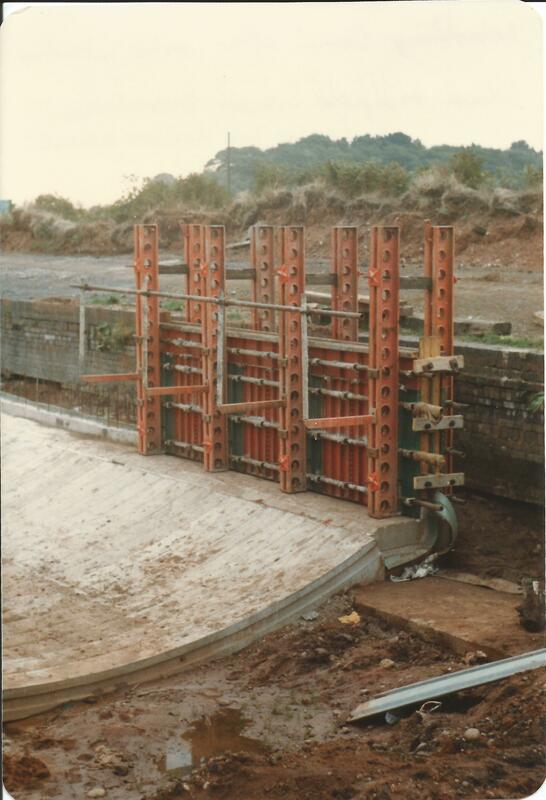 This entry was posted in Bad Science, Brownhills stuff, Chasewater, Environment, Events, Followups, Fun stuff to see and do, Interesting photos, Local Blogs, Local History, Local media, News, Reader enquiries, Shared media, Shared memories, Social Media, Spotted whilst browsing the web, Walsall community and tagged Anchor Bridge, Anglesey Branch, Brawns Wood, Brownhills, Brownhills local history, Brownhills Past, Canal, canal breach, Canal Leak, canal repair, Chasewater, Chasewater Dam, Chasewater history, Chasewater Wildlife Group, culvert, Cycle rides, cycling, David Hodgkinson, Lane's Farm, local blogs, Local History, Milfield School, New Photos, Old maps, Repair, Reservoir, Staffordshire, Steve, Subsidence, Turner. Bookmark the permalink. Some excellent new photos there from Steve! 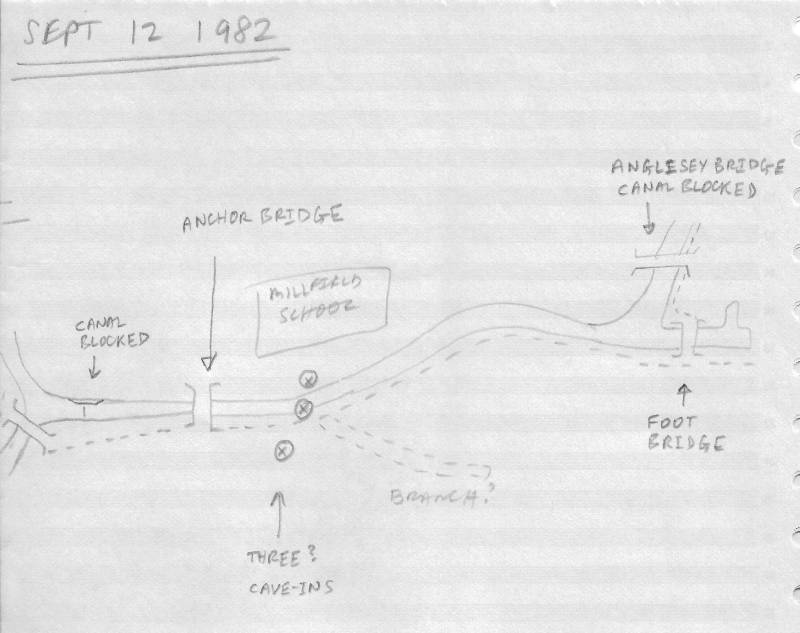 When I said “I have found the photo taken on 12 September 1982 that would have been soon after the breach occurred.”, what I should have said was that they were taken soon AFTER I HAD SPOTTED the breach which is not necessarily the same thing. No, that’s entirely my fault for not thinking about it carefully enough! Will correct the post later this evening. amazing photos indeed. I remember that local anglers had saved the fish..perhaps this can be confirmed ….I did go and jave a look…what is not apparent in the pgotos is the drop from the bankside to the field..where the blue vans are…. Clearly vosble from the yrack was the different clpur of the soil where the breach had occured. Wrd was that Tom, labourer at Mr Lanes farm, had drive. the bucket/ loader tracter to try to stem the flow when the breach occured…again, perhaps this can be confirmed, please. God I remember has us kids off the avenues me and my mates walked the length of the breach inthe mud and the snow in our wellies lol good good times ! I remember coming home from work and going upstairs to change but when I looked out of the window I was puzzled as to why part of Lanes’ field at the back was under water. It didn’t take long to realise the bank must have collapsed and the water was from the canal. Remember also watching the repair work being undertaken. As an event, I guess it must have been unprecedented in the area. There is a particular picture that I would like to get a copy of if it is possible. Perhaps you could let me know if it’s feasible. Many thanks to all for the fabulous pictures. Keep up the good work. Absolutely amazing! 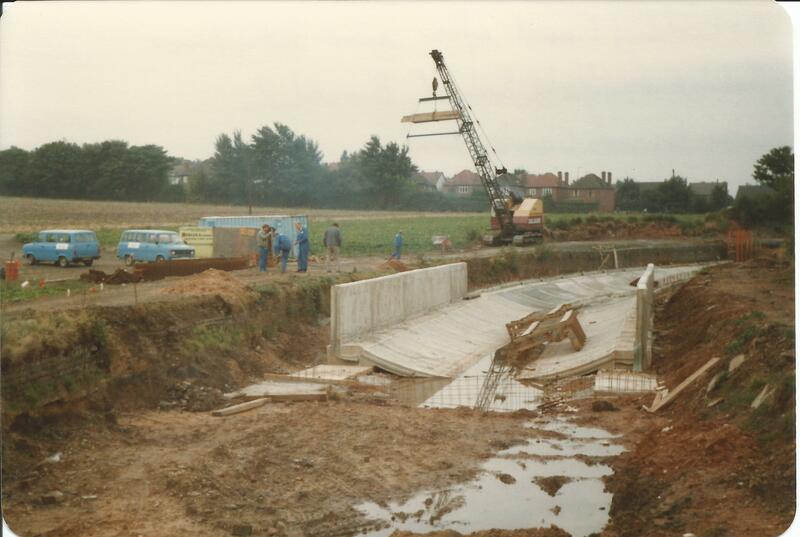 I’d completely forgotten about this until these fantastic photos were shared…now it’s all flooding (ha!) back. 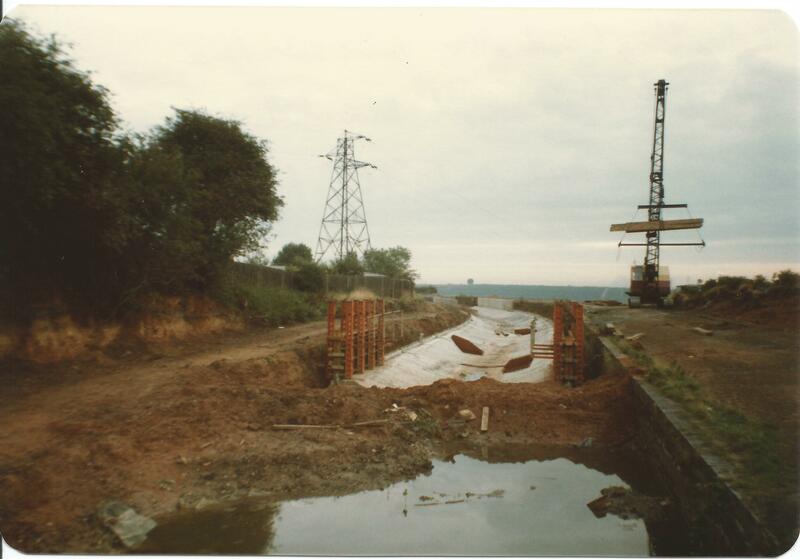 Anyone know how long the canal was dammed for? It feel like an AGE as a kid.